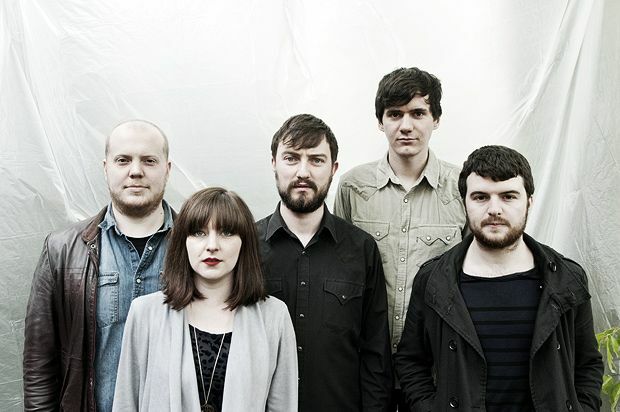 With a busy summer that's showing no signs of slowing down, Glasgow chamber pop quintet and recent SAY Award nominees Admiral Fallow are arguably one of the hardest-working bands on the Scottish scene. Flautist Sarah Haynes talks about their upcoming Scottish festival and Fringe shows, plans to perform with a full orchestra at Paisley Abbey and how their various side projects serve to inspire them as a band. First of all, a belated congratulations on your SAY Award nomination. How did you feel to receive the nomination? It was an honour to be included in the longlist, and subsequently the shortlist, alongside such a diverse array of talent. Because the SAY Award selects albums released in the previous year, it had been a while since our nominated record, Tree Bursts in Snow , was released. It was nice to have a little extra boost for it late on. The nomination was also particularly special as the Award places much of its emphasis on ‘The Album’ as a cohesive whole, something that means a lot to us as a band. The band are playing Wickerman and Belladrum very soon. What do you enjoy most about playing open air festivals? Over the past few years, we’ve been lucky enough to play at lots of festivals across the UK, mostly in modest marquees, with the occasional big tent and outdoor stage thrown in. Festivals are a different beast to your regular gig: typically a little rushed to soundcheck and change over between bands, and of course at the mercy of the elements, although this can sometimes work in your favour when playing in a tent. We’ll often tailor the gigs to a festival atmosphere as much as we can. Set-length permitting, we’ll generally include more upbeat numbers, which is admittedly sometimes challenging within our song catalogue! The ones I’ve enjoyed most have been blessed by the weather, with an appreciative audience, and a relaxed set-up beforehand. There have been a couple of occasions when I’ve been pleasantly surprised by an overwhelmingly positive crowd reaction. Belladrum two years ago springs to mind - we’ll try to build on that this year, on a bigger stage. It’ll be our first visit to Wickerman too, so I’m looking forward to seeing what that one brings. Maybe Nicolas Cage will be knocking about covered in bees – that would be a clear highlight of Kevin’s life to date. Do you have anything special planned for your Queen’s Hall Fringe show? That would be telling! Actually, that’s probably too dramatic, don’t get your hopes up, although there will be some additional musicians onstage. We’ve also been enjoying playing some songs recently that we don’t often perform, so perhaps they’ll make an appearance, along with a reworking of an oldie or two. The band recently announced a special concert at Paisley Abbey with The Twilight Sad and the RSNO. Can you tell us how that came about? This is a very special event indeed... As far as I know, it was the brainchild of Ally McCrae (of Radio One and Detour fame), to get these two bands collaborating with the RSNO and in this particularly beautiful setting. The orchestra were really keen from the outset as well. We’re in the planning stages at the moment. It’ll be something totally different for us; we’ll need to approach the traditional ‘gig’ in a new way, flex our orchestration muscles, and – hopefully - rise to the challenge. You’ve previously played with an accompanying string section but how are you feeling about playing with a full orchestra? It’s a unique opportunity to make the songs bigger, and experiment with the many colours and textures that a full orchestra can bring. Most of us have experience playing in orchestras of different types at one time or another, so we’re mindful of a few issues that may crop up, most notably in getting used to the majestically cavernous acoustic of the Abbey! You’ve also been running your own solo project. How has that been going and how the hell do you manage it all? I recently self-released a four track EP of traditional music, a mix of songs and tunes old and new. I’ve loved folk music from a young age, and part of the reason for my move to Glasgow was due to its thriving traditional music scene. I’ve been here for about eight years, and in that time have been a part of some varied musical experiences through studying classical music, and obviously the many great opportunities we’ve had with the band. When I finished my studies, the time felt right to get cracking and make a recording of some kind. The EP is more a first footing than a grand entrance; it’s been a steep learning curve, but I’m really enjoying playing solo again for the first time in a number of years. All of us in Admiral Fallow seem to have irons in many fires, whether it’s instrumental teaching, bar work, freelance orchestral playing, open-mic hosting, community music or function band gigs. It can be tricky juggling them all, but I like to think they inform each other and on some level probably influence the music we make when we’re all together. Lastly, what can we expect next from Admiral Fallow? We’ll be working in earnest on album number three, having had a couple of writing retreat-style trips up north already. We’ve taken a new, more collaborative approach thus far, writing the music as a group. So we’ll continue with that, and all being well deliver a new record sometime next year. The Wickerman Festival, East Kirkcarswell, Fri 26 Jul; Belladrum Festival, Inverness, Sat 3 Aug; The Queen’s Hall, Edinburgh, Tue 13 Aug; Paisley Abbey, Paisley, Mon 14 Oct.
Folky indie from Louis Abbot's Admiral Fallow.